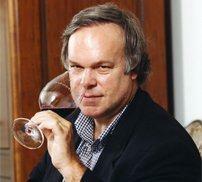 Robert Parker, the world’s most influential wine writer and critic will no longer write and review California wines for his journal, The Wine Advocate. Parker will focus on Bordeaux wine from both the Right Bank and The Left Bank. as well as Graves. He will review the wines from all those areas in barrel as well as in bottle, from mature vintages. Parker will also spend more time tasting wine from the Rhone valley. 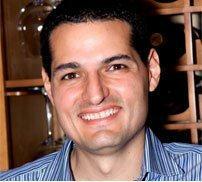 Antonio Galloni was awarded extra duties as a reviewer for Robert Parker’s Wine Advocate. Parker will not be reviewing California wine any longer. Galloni was tapped to take over coverage of that area starting immediately. What this means for the wines in California remains to be seen. For a look at what happens next: https://www.thewinecellarinsider.com/?p=12506.Parker has been tireless in his promotion and tasting in that region. Robert Parker has been tasting California wines since the dawn of the golden age of California wines. Thanks to Parker’s efforts, several producers have become popular. Without positive reviews from The Wine Advocate, it’s possible, many of these wines would not have been discovered. It can be easily argued that some wines would never had gained the audience they have without a series of glowing reviews from Parker. Parker’s enthusiastic reviews created the cult wine phenomena. Cult wines earned their moniker shortly after they were created. Cult wines shared some common characteristics. The wines were produced in small quantities. They are usually rich, ripe, concentrated and are often high in alcohol. The wines were primarily sold through mailing lists and sold in secondary market for much higher prices to consumers who were not among the first people to sign up for the mailing lists. By the time the 1997 vintage was released, it’s possible there were over two dozen cult wines. .
With the recession, a lack of demand for wines selling for hundreds of dollars per bottle has reduced the list of cult wines down to as few as a handful.Consumers and winemakers will read Galloni’s take on California wines later this year. In addition to reviewing California wines, Galloni earned additional responsibilities. He will also be reviewing red and white Burgundies of the Côte d’Or and Chablis. Those regions were previously covered David Schildknecht, This is a step the right direction. While readers enjoyed David Schildknecht’s reviews, his inability to report on those wine regions in a timely manner was a problem. Galloni is a respected taster and should easily slip into those shoes. David Schildknecht will now focus on Germany, Loire, Beaujolais and Mâconnais, Eastern U.S. and Austria. Galloni will cover Italy, Champagne, Chablis, Côte d’Or and California. Everything else remains the same at The Wine Advocate. How will Parker spend his newly found free time? What free time? Bob will remain focused on Bordeaux wine and the wines of the Rhone valley. In addition, Parker will also taste and review older vintages of Bordeaux wine, Rhone and California. This will allow consumers to read comments on how many of the wines they have purchased over the years have developed. This is a huge change for the California wine industry. Will winemakers produce the same style of wine that has excited Bob as well as consumers? Or will wineries seek to make wines in a different style? Will California wine be made in a different style? If so, is this good or bad for wine and consumers? Please feel free to share your thoughts and comments on this big issue. Dan… You need to read the direct quote from Bob and make up your own mind. You asked and I answered to the best of my ability. So you are saying that Bob firmly said that Antonio did not buy any of the WA shares? And you are also saying that Bob is the sole owner of the WA? That looks to me as if Parker is the sole owner of his publication. I do not have any more news to report. I think you know Antonio. I have never met him. If you know him, why not aak him? So, Jeff, does that mean Antonio Galloni is not an investor in the WA? I saw Parker’s response, and it seemed to dodge that obvious question. Matt… You’re right. The Wine Advocate has been the voice of Robert Parker since 1978. Can it continue without him? With the ease and lack of barriers to publishing today, it’s safe to say, that no person or publication will be as important as Parker is. If Antonio and the other members of the The Wine Advocate staff are seen as being good, reliable tasters, they will find a place. The best wines are expensive these days. It’s difficult for most people to buy costly wines without tasting them first. And there are not that many places to taste expensive wines before buying them. IMO, that is the main reason to pay for a critics advice. But the times they are a changin’. People can read about wines I like on this site, and they get to read about what others think about different wines on here as well. We are only one site. There are countless sites where wine lovers can find information on what they are interested in. The work is, finding the sites and the writers that share your view on a consistent basis. Hope it sheds some light on the situation. The article includes a response regarding the rumors about Parker selling The Wine Advocate. Congrats on getting this “inside info.” No doubt you had to work hard for this. Have you followed up with anything beyond this, since you are now a newsmaker…No doubt you have seen all of the rumors floating around about the sale of the Wine Advocate. Isn’t this story about Parker quitting California just a red herring for the real story? Parker is “quitting” the Wine Advocate, to some degree. Let’s stop the fluffing, and post something that people don’t know yet. The article was published Saturday, 4 days ago. There was no other information available, I wrote what I could, with what we had. 4 days later, I am not aware of any new factual information. If you know something we don’t, please share. Of course I’ve read the rumors and innuendo based on anonymous sources. As you know, I’ve never been a fan of anonymous sources or posters. I’m also not a fan of writing about rumors. Are the rumors true? Who knows? Those that know, aren’t talking. That’s the point. My feeling is, Antonio taking over from Bob was such a well-kept secret, if other major changes were taking place, I’m sure that would remain a secret as well? Is Bob quitting The Wine Advocate? That’s news to me. He’ll be 64 years old this year. It’s a natural progression to continue slowing down at his age. His tasting trips are grueling. He’s worked hard. He’s accomplished everything he set out to do and more. Why shouldn’t he slow down? I am working on a related article that I should have up tomorrow. Thank you for posting. All very interesting, but I cannot help fearing the power of the Wine Advoicate is waning. Personally, I think Galloni has great palette, and I appreciate his rather old world style sensitivity. And therein lies the question: will a taster who clearly appreciates refinement dive for the blockbusters? With regard to Parker’s venerable organ as a whole the other reviewers appear to me to garner less respect. Schilderneck is terribly high-brow and wordy and Jay Miller just likes anything that’s a fruit bomb, preferably accompanied by huge amous of food, and this gives everything a 95+ score. Much as I disagreed with many of Parker’s ratings there did at least seem to be intellectual rigour behind them; Galloni and Schildernect apart, that seems less the case today. In any event it should be remembered that Parker was The Wine Advocate in a personal and tangible sense. Wihout him, the organ will just be shadow of its former self. And frankly, that’s probably best for everyone. I agree with you on David childknecht. He is verbose. He is the most thorough writer that is reviewing wine today, But I’d prefer slightly less background and more reviews on a quicker basis, if I was a Burgundy fan. I think that’s part of what readers will get with Antonio. I do not read Miller. He writes about regions I seldom drink and don’t buy. What Antonio does with his California reviews will make big news. Will he offer high scores for the wines Parker has championed in the past? Or, will he prefer a less ripe, slightly higher acid style of wine? Regarding your third post, I quite agree Parker has worked long and hard, deserves his Legion d’Honneur medal and deserves retirement like anyone else. But I still fear without him the Wine Advocate will be reduced to nothing, The wine trade will just have to live with that. And forcing people to trust their own and their wine merchants’ judgement is no bad thing. Galloni’s future there, like the success or not of James Suckling’s latest venture, will depend on the real force with which he is able to mark his territory. And that can only be a forerunner to a solo career. Galloni is not the Wine Advocate, and tribute bands have a limited shelf life, if you get my drift. Did it come across on eBob or was it an announcement to subscribers separately? Would you mind citing your sources for this information? Hi Alder… It’s good to see you over here. The source was Robert Parker. We published this article before it was posted on Ebob. I would be honored if you want to link to this article on your blog.